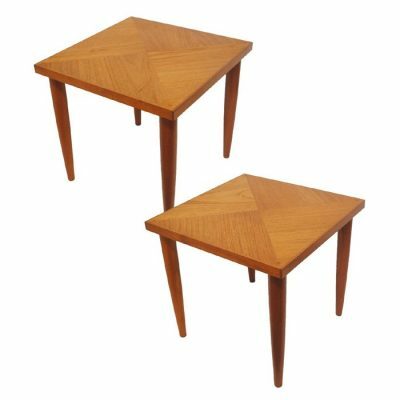 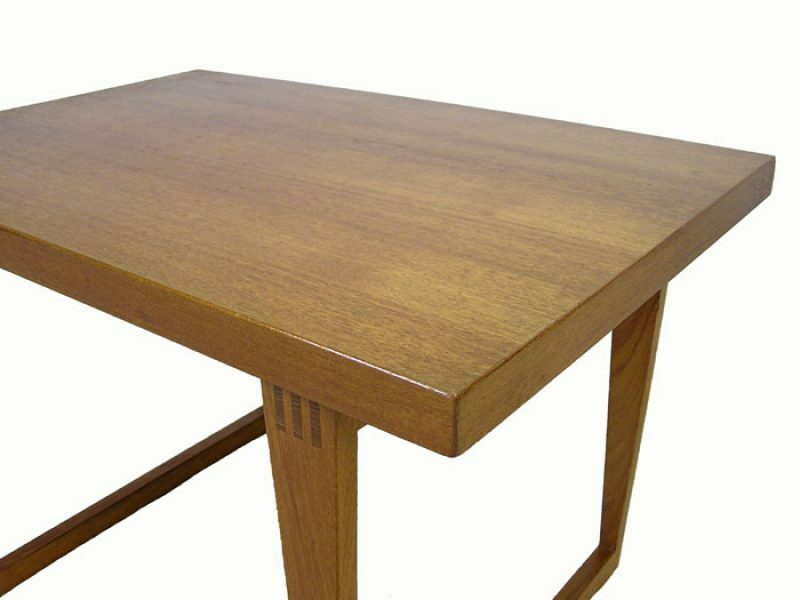 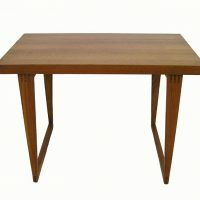 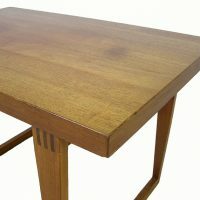 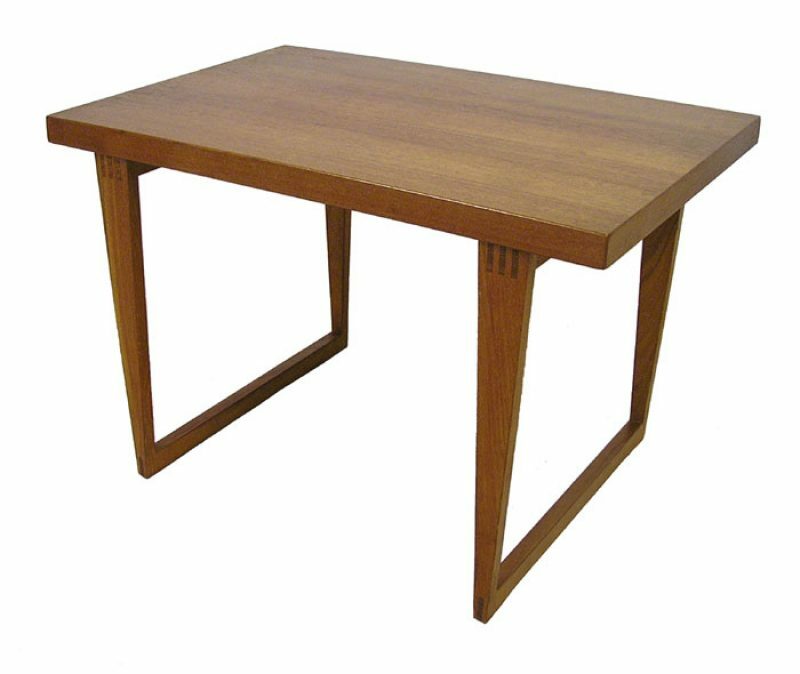 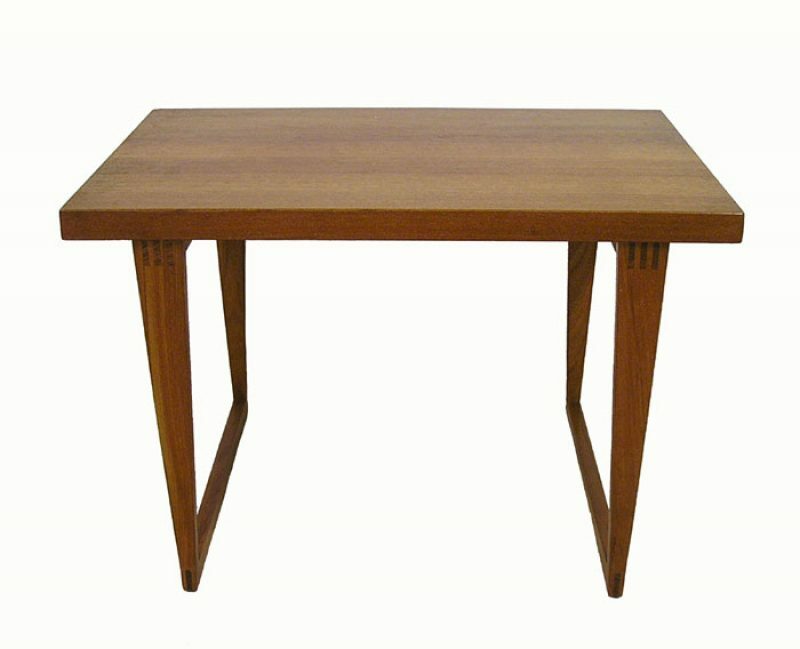 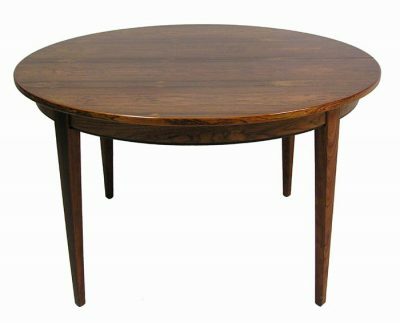 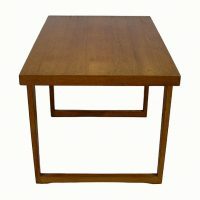 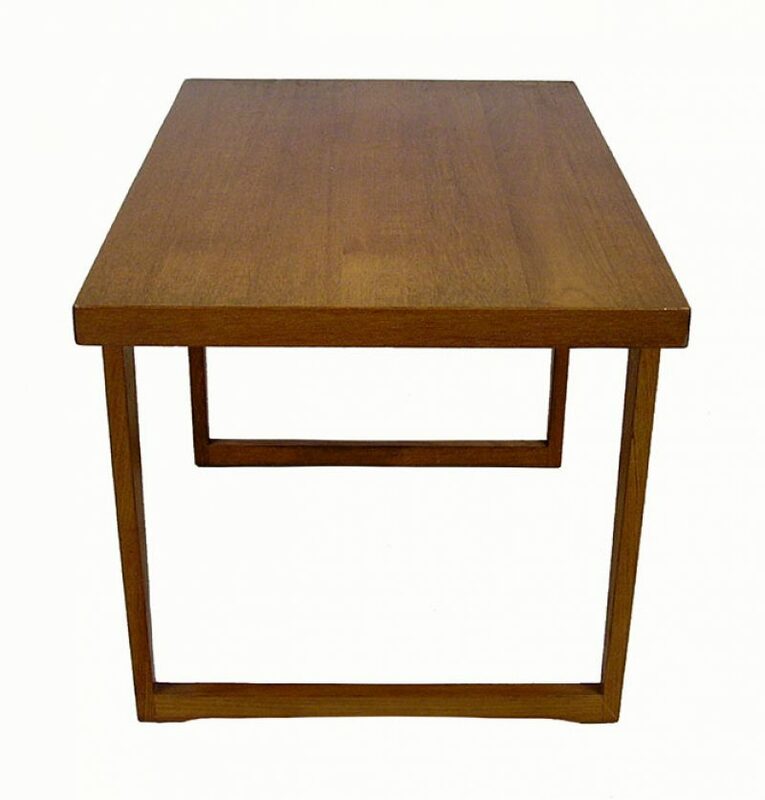 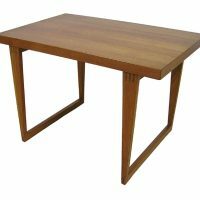 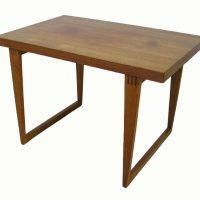 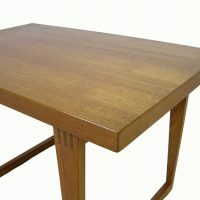 A stylish teak side table from the 1960s Danish Modern inspired era. 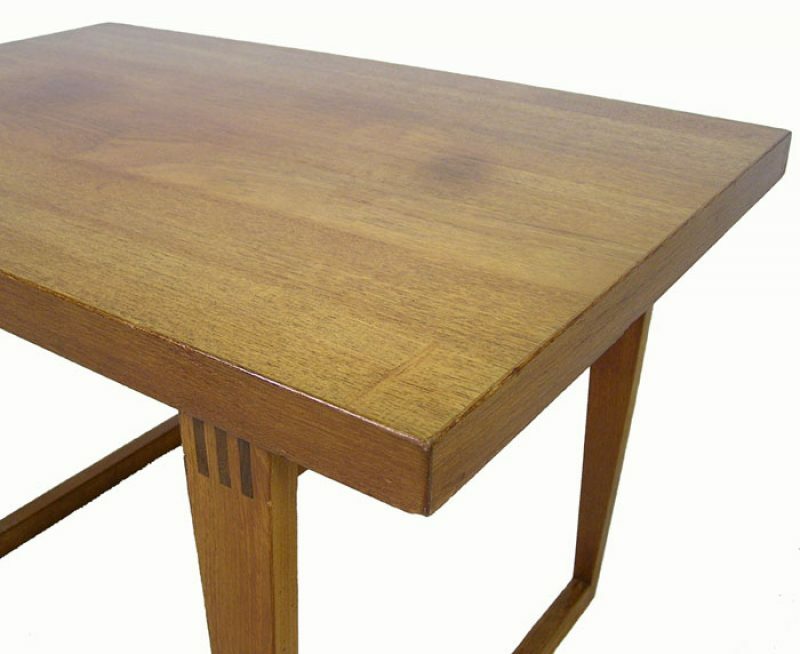 Features finger joint craftsmanship and tapered "sled" style legs. 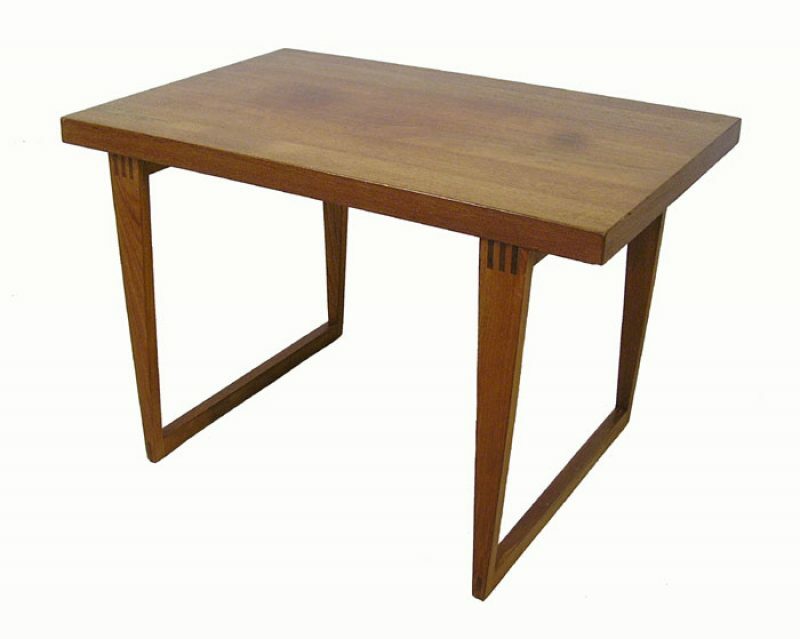 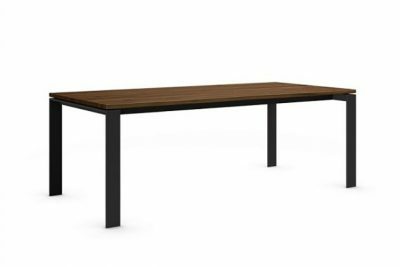 Dimensions: 29 3/4" Long x 19 3/4" Wide x 20" High.